Located in Durham and looking to have acoustic ceiling texture removed from the ceilings of your home? Call Drywall Specialist a skilled expert with years of experience. Affordable prices and free estimates on large or small jobs in Durham County, NC. 919-742-2030 Durham Acoustic Texture Removal Scraping Ceilings. Durham: 27517, 27560, 27701, 27702, 27703, 27704, 27705, 27706, 27707, 27708, 27709, 27710, 27711, 27712, 27713, 27715, 27717. 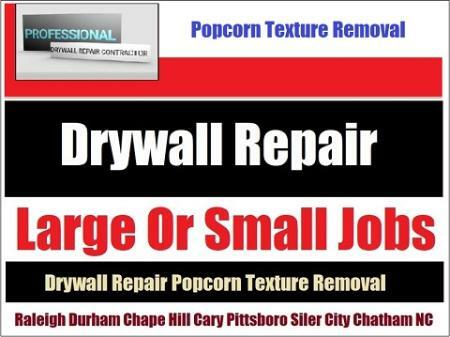 Based In Siler City And Servicing The Entire Durham NC Area!.